Home > Toys > Plush > Search By Brand > TY > Hello Kitty Aqua/Pink 13"
Hello Kitty with Pink Jumper and Mint Shirt. Ty 90117. 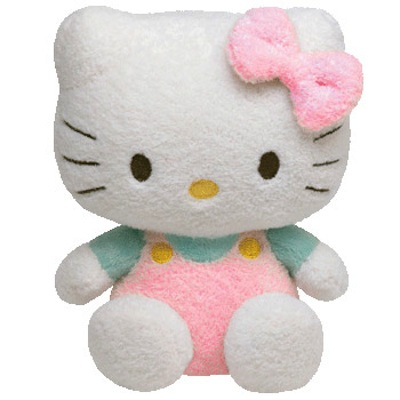 Sanrio Plush. Hello Kitty is a fictional character designed by Yuko Shimizu, and produced by the Japanese company Sanrio. Hello Kitty first appeared in 1975 on a vinyl coin purse in Japan.